You can use essential oils for natural hair treatments. What makes essential oils great is that they are lightweight and volatile. This means it is capable of penetrating the scalp and the skin easily. What makes these essential oils stand out from other oil counterparts is their tiny molecular structure and size. A lot of essential oils have great scalp stimulating features, when combined with your own massaging, creates a great impetus for more hair. A couple of drops of the essential oil of your choice can perk up your shampoo or conditioner. The essential oils can create a gentle but warm sensation on your scalp that improves the circulation to your area of choice. The raised circulation helps the hair follicles by helping nutrient flow in the blood. Here are some of the best essential oils for natural hair growth. Lavender essential oil is an effective antibacterial essential oil that soothes irritation, itchiness, dryness, and dandruff. Moreover, lavender essential oil gives off a relaxing scent. 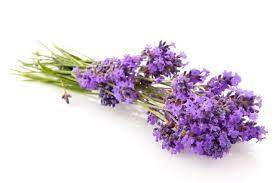 Also, regular use of lavender essential oil can decrease tension and stress. Extreme tension can cause loss of hair. Similar to other essential oils for thicker hair, getting a scalp massage using lavender essential oil can invigorate your scalp. An invigorated and healthy scalp in general creates enhanced blood circulation, leading to better hair growth. Peppermint essential oil although beneficial for the muscles and digestion, is also known for its antibacterial features. Put peppermint essential oil on your scalp to get an invigorating yet tingling sensation that can increase your blood circulation. In order to apply and combine essential oils like peppermint oil, put 3 drops to some gentle shampoo and conditioner to give your hair care a boost in the morning. Lastly, rosemary essential oil can invigorate your scalp. It also helps keep your natural hair color, making it less prone to graying, and decreasing possibilities of a dry scalp. If you want thicker hair, mix rosemary essential oil to extra virgin olive oil and massage into your hair and scalp. Let your soul glow using essential oils for shiny hair! For many decades, people have utilized essential oils for cosmetic and medicinal objectives. The beauty industry have incorporated these essential oils in their serums, shampoos, and other hair care products. However, they are at exorbitant prices. But nowadays, you don’t have to spend too much on getting your hair gorgeous. Just buy the essential oils themselves. Cedarwood essential oil can stimulate the scalp and promote the growth of hair. Clary sage essential oil helps hair growth and stimulates your scalp. Sandalwood essential oil aids in dry ends and adding fragrance to the hair. In order to use any essential oil, just put a couple of drops of your essential oil and mix into either your shampoo or conditioner. Another way is to mix the drops inside two ounces of a carrier oil like jojoba oil or olive oil.